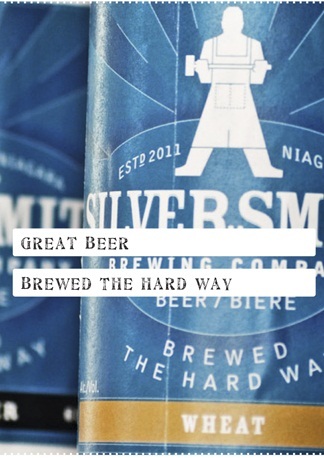 Silversmith Brewing Company from Niagara on the Lake, is one of Canada's newest breweries. So new in fact, that they are brewing offsite while their new brewery is assembled in an old church in Ontario's wine country. Sure to add a change of pace to the typical wine route, I am pretty excited about their first two offerings. Their premier brews will be a Black Lager as well as a Wheat Ale. I had the pleasure of receiving some samples of both, so stay tuned for an upcoming review. Look for them to be featured at the Forest City Beer Fest in London, Ontario on August 11, 2012.